On the Air: Get Ready -- The ARRL Centennial QSO Party Kicks Off January 1! On the Air: Kids Day is January 5! Radiosport: CW Rookie Roundup is Sunday, December 22! Note: This will be the final edition of The ARRL Letter for 2013. 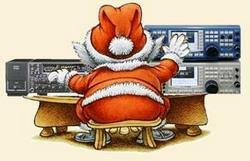 ARRL Headquarters will be closed Christmas Day, December 25, and New Year's Day, January 1, 2014, and there will be no W1AW bulletins or code practice on those days. The ARRL Letter will return January 9, 2014, and ARRL Audio News will return January 10, 2014. We wish everyone a happy holiday season and all the best for the new year 2014! As the Monday, December 23, deadline nears to comment on the ARRL's "Symbol Rate" Petition for Rule Making (PRM), the petition has moved into second place on the FCC's "Most Active Proceedings" page (it was in first place briefly). Since the FCC put the ARRL Petition on public notice for comment as RM-11708, it has attracted 685 comments (as of December 19) and counting. The petition asks the FCC to delete the symbol rate limit in §97.307(f) of its Amateur Service rules and to replace it with a maximum data emission bandwidth of 2.8 kHz on frequencies below 29.7 MHz. In a briefing memorandum released this week, the League took steps to clarify just what it is -- and is not -- asking the FCC to do. ARRL General Counsel Chris Imlay, W3KD, said that while a significant majority of commenters support the petition, some appear not to understand the petition's intent. The League reiterated that its filing would not "initiate any large scale plan to convert to regulation of emissions by bandwidth," and would not affect any emissions other than data. "The Petition proposes no changes that would affect in any way the existing rules governing Morse telegraphy, phone, and image emissions," the ARRL stressed in its talking points. "The state of the art in digital communications now allows transmission protocols in which the symbol rate exceeds the present limitations of §97.307(f) of the FCC rules, but the necessary bandwidth of the protocol is within the bandwidth of a typical HF single sideband channel (3 kHz)." 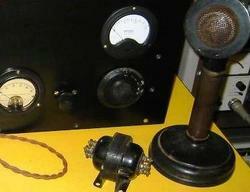 The League contends that eliminating symbol rate limitations for data emissions and substituting a maximum authorized bandwidth "would permit the utilization of all HF data transmission protocols presently legal in the Amateur Radio Service, as well as state-of-the-art protocols that fall within the authorized bandwidth." affect HF subbands where phone and image emissions are now permitted nor affect HF CW operation. permit digital voice transmissions in data and RTTY subbands nor add rules affecting digital voice. change restrictions on automatically controlled digital stations. permit data emissions to use occupied bandwidths in excess of what is now allowed. Further, the petition does not call on the FCC to expand the frequencies on which "unspecified digital codes" may be used. The original petition, as filed, included an error that the ARRL corrected in an Erratum deleting the erroneous reference to unspecified digital codes at HF. "It was never our intention to permit unspecified digital codes at HF," the League said. All told, the ARRL talking points state, the proposal represents a balanced approach. "ARRL attempted, in adopting the 2.8 kHz maximum bandwidth proposal for data emissions at HF, to balance the two objectives of facilitating use of new and future data emissions and protecting against usurpation of the band by a few data stations," the briefing memorandum said. "Some bandwidth limit is necessary if the outdated symbol rate limit is eliminated, as it should be." Reply comments -- ie, comments on filed comments -- on the ARRL's petition are due by January 7, 2014. Four leading solar scientists on December 11 told journalists attending the American Geophysical Union (AGU) fall conference in San Francisco that current solar Cycle 24 has demonstrated extremely low sunspot activity and appears to be the weakest cycle of the past 10 cycles -- more than 100 years. This already has resulted in milder "space weather" and less-intense geomagnetic storms and "energetic particle events," such as coronal mass ejections (CMEs), NASA scientist Nat Gopalswamy said. "The weak activity of Cycle 24 is thought to be due to the weak polar magnetic field in Cycle 23," an AGU news release explained. "If this trend continues for the next couple of cycles, the Sun may be heading for a global minimum." The scientists drew no specific conclusions regarding the impact of the extremely weak Cycle 24 on radio propagation. 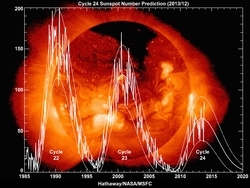 Stanford University's Leif Svalgaard said this weak cycle had been predicted based on the behavior of the Sun's polar magnetic fields, which translate into fewer sunspots. Svalgaard believes that in a few years it will be possible to use polar field data to determine the robustness of Cycle 25. The Sun's weak polar magnetic field could lead to an increase in cosmic ray activity, which could affect manned spaceflight. In addition to Svalgaard and Gopalswamy, the other scientists were Martin Mlynczak of NASA-Langley, and Joe Giacolone of the University of Arizona. According to Spaceweather.com, since 2004 there have been 821 days without sunspots, compared to 486 days for the "typical" solar minimum, but none of these days fell within 2012 or 2013. Operating as OF9X ("Old Father 9 Xmas") from the Finnish Lapland, Santa Claus is proving to be a popular on-the-air attraction again this year. One of Santa's elves, Martti Laine, OH2BH, reported a first-night count of some 1000 contacts on December 18. "The US Santa Path opening from 2000 UTC to 0300 UTC was covering the entire USA," Laine said from the "Offices of Santa Claus" in Lapland. Last year Santa established himself as an Amateur Radio figure with thousands of followers, and more than 800 "Santa Awards" were issued around the world. There's a new twist this year, though. Santa has become a Morse code pro and is now active on CW as well as SSB. The primary ham radio activity will take place this weekend before Christmas, and, as Santa is busy, his elves will helm Santa Radio, OF9X, most of the time. Santa should be on CW around 25 kHz up the lower band edge and on SSB at approximately 14.225 kHz. Making two contacts with Santa -- at least one from 2013 -- qualifies stations for the 2013 Santa Cold Winter Award (contacts from 2012 may be applied). 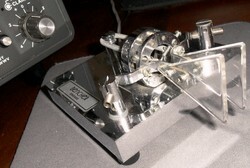 Operators can track their two QSOs and send requests by e-mail. 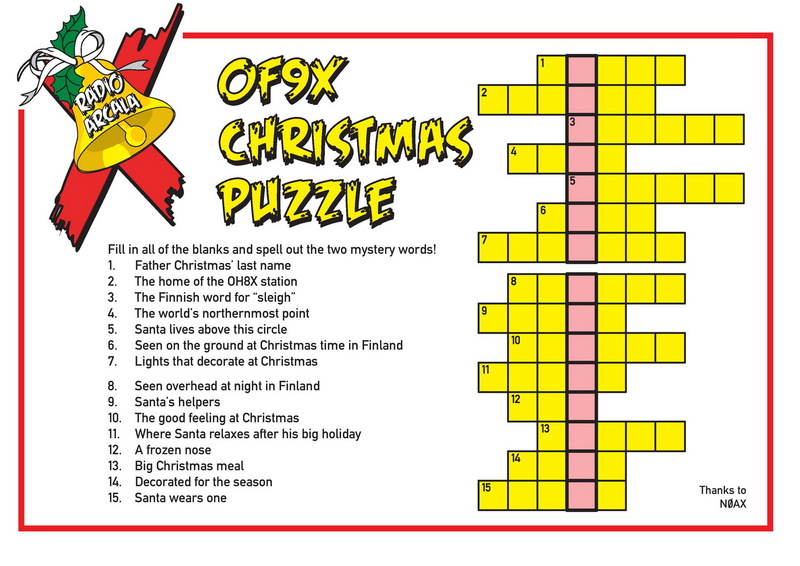 If you make just one contact this season, operators may compensate by solving the Christmas Puzzle by N0AX. Send details of your 2013 QSO along with the two "mystery words" from the puzzle, and you will qualify. If you need help with the puzzle, you may ask Santa for help. Contact OF9X and mention the question line number (two lines maximum), and Santa will whisper the needed word to you. On CW send "QSC NR" (Q-Santa-Claus). Santa Cold Winter Awards are sent free of charge by e-mail. As part of the mix of events marking the League's 100th anniversary, the ARRL Centennial QSO Party gets underway at 0001 UTC on January 1. This is a year-long operating event, in which participants can accumulate points and win awards, as well as work new stations and make new friends. During 2014 W1AW will be on the air at least twice from every US state and from most US territories, and it will be easy to work all states solely by contacting W1AW portable operations. This will be the first ARRL-sponsored operating event for which every member is worth at least one point. The event is open to all, although only ARRL members and appointees, elected officials, HQ staff, and W1AW are worth points. Working the ARRL's president, for example, earns 300 points! To qualify for points, all contacts must be two-way (no cross-band or cross-mode contacts), using CW, phone (FM, SSB, AM, digital voice), digital (any digital mode, such as PSK31, RTTY) on 160, 80, 40, 30, 20, 17, 15, 12, 10, 6, 2 and 1.25 meters, plus 70 centimeters and satellite. Stations exchange signal report and ARRL abbreviation. Contacts do not have to be contest-style, and providing ARRL organizational information is not required. A centennial database will assign point values to all logs submitted electronically. Those not submitting electronically, however, will need to obtain the QSO information during the contact. Since this is not a contest, participants may make contacts in any fashion they prefer. The Centennial QSO Party is scored by totaling the values of all eligible contacts. There are no multipliers or bonus points. Logs submitted via Logbook of the World (LoTW) will be scored automatically. For full information, visit the ARRL Centennial QSO Party webpage. Contact us if you have questions. Read more. 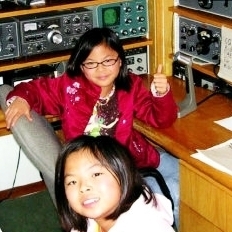 The next Kids Day, sponsored by the ARRL and The Boring (Oregon) Amateur Radio Club, will be Sunday, January 5, from 1800 to 2400 UTC. This is an excellent opportunity to showcase Amateur Radio and Amateur Radio satellites to youngsters and let them get some firsthand experience. Share the excitement with your own children or grandkids or youngsters in the neighborhood! For the youngsters, their positive ham radio experience may foster an interest in getting licensed one day. For veteran radio amateurs, it's a chance to share their love of Amateur Radio and their stations with the next generation. To attract attention call "CQ Kids Day." The suggested exchange is name, age, location, and favorite color. There is no limit on operating time, and stations may work each other more than once, if the operator has changed. The suggested HF frequencies are 28.350 to 28.400 MHz, 24.960 to 24.980 MHz, 21.360 to 21.400 MHz, 18.140 to 18.145 MHz, 14.270 to 14.300 MHz, 7.270 to 7.290 MHz, and 3.740 to 3.940 MHz. Repeater contacts (with permission of the repeater's sponsor) are okay too, and satellite contacts may provide a real thrill. Be sure to observe third-party traffic restrictions when making DX contacts. All participants are encouraged to post stories and photos to the Kids Day Soapbox page and are eligible to receive a colorful certificate. You can download the free certificate, customized with the youngsters' names, after filling out the Kids Day Survey found on the same page as the certificate generator. Alternatively, you can send a 9 × 12 SASE to Kids Day Certificate Request, ARRL, 225 Main St, Newington, CT 06111. ARRL Kids Day is always the first Sunday of January and the third Saturday of June. Dust off those keys and paddles! The CW Rookie Roundup -- the last Rookie Roundup event for 2013 -- takes place Sunday, December 22, 1800 through 2359 UTC. This is an excellent opportunity for new operators -- for this event defined has having been first licensed no longer than 3 years, regardless of license class -- to get on the air and learn new skills. The idea behind the Rookie Roundup events is to encourage newly-licensed operators ("Rookies") in North America (including those living in territories and possessions) to experience competitive Amateur Radio operating on HF. Experienced operators are encouraged to participate and help the newcomers on the air or in person. Old Timers, look for newer ops and inspire and instill your love for the "original digital mode" and consider hosting a ham radio newcomer or two at your station. The more operators on the air, the more fun. Review the rules before the event, and get familiar with logging and log submission. We hope to hear you on the air! The organizers of World Radiosport Team Championship 2014 (WRTC-2014) have announced the names of on-site referees for the July 12-13, 2014, international Amateur Radio competition in New England. Referees will be deployed to each of the 59 stations to monitor and verify compliance with the WRTC rules and to make decisions regarding any rules questions the teams may have. All top-level contesters in their own right, referees will listen to the audio from both operators for the entire 24 hours of WRTC-2014. Dan Street, K1TO, managed the referee application and verification process. Selecting from among the 143 applications received involved several factors, including geographical area, language skills, and single-operator, two-radio (SO2R) ability. "With so many well-qualified volunteers willing to serve as referees, it was simply impossible to choose everyone we would have liked," said WRTC-2014 Chief Referee David Sumner, K1ZZ. "It is a great tribute to the past and present WRTC organizers that the event is so strongly supported by active contesters from around the globe. We know that everyone who volunteered will help in any way they can to make WRTC-2014 another success." World Radiosport Team Championship events are held every four years. The competition consists of approximately 50 two-person teams of Amateur Radio operators from around the world, going head to head in a test of operating skill. Read more. Expedition 38 Astronauts Mike Hopkins, KF5LJG, and Rick Mastracchio, KC5ZTE, will leave the confines of the International Space Station (ISS) December 21, 23, and 25 to repair a faulty cooling system pump. The malfunction has already caused the postponement of one Amateur Radio on the International Space Station (ARISS) school contact. NASA managers also are postponing until January an upcoming cargo resupply mission to the ISS. NASA said that during the multiple spacewalks -- or extra-vehicular activities (EVAs) as NASA calls them -- Hopkins and Mastracchio will remove a pump module that has a failed valve and replace it with a spare that's stowed on an external platform. Charlie Sufana, AJ9N, who is involved with scheduling ARISS school contacts, said ARISS postponed one contact with a school in Italy that had been scheduled for December 16. It's being rescheduled for January. 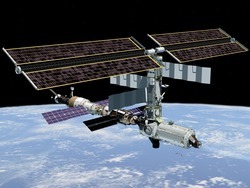 It's unclear if the ISS problem will affect additional ARISS school contacts. "We are working towards getting everyone scheduled, but it is pretty crazy," Sufana told ARRL. "The two contacts for next week have not been scheduled yet, and it will probably be a near last-minute decision. We may just luck out and get something between EVA days." The K9W Wake Atoll DXpedition team reports that it logged slightly more than 100,000 contacts during its November DXpedition in the South Pacific. "The Wake Atoll DXpedition team wants to thank the DX community for the outstanding response to 'The Forgotten 98' Commemorative DXpedition," Team Leader Lou Dietrich, N2TU, said on the DXpedition's behalf. "Also, we need to express our gratitude to our hosts on Wake, the United States Air Force." Because of issues stemming from the partial federal government shutdown the DXpedition had to postpone its startup from October until November. North American hams worked the lion's share of the contacts -- just over 35 percent, with Asia and Europe not far behind at 32 percent and 27 percent, respectively. The rest of the world had a more difficult time putting K9W into the log. Contacts with Oceania accounted for slightly more than 3 percent of the total, with South America contacts comprising slightly less than 2 percent, and with Africa less than 1 percent. K9W logged 53,765 CW, 38,700 SSB, and 7,562 digital contacts. The K9W DXpedition was the recipient of a Colvin Award grant. Contacts will be uploaded to Logbook of The World (LoTW). Read more. Members of the Sierra Nevada Amateur Radio Society (SNARS) -- an ARRL Special Service Club -- recently teamed up with a Reno TV station to help raise some $240,000 in donations and 180,000 pound of food items and toys to aid Nevada families hard hit by the economic downturn. Reno not only suffered a recent cold snap, but Nevada has seen the most home loan foreclosures and the nation's highest unemployment rate over most of the past decade. A SNARS member sorts food products for distribution to the needy. On December 13, with most of Washoe County hunkered down from the cold, SNARS members, organized and led by Jim Rosima, KD7DPW, took part in the 21st annual "Share Your Christmas Drive-By Food Drive," sponsored by local CBS affiliate KTNV. The event took place in three locations -- the Governor's Mansion in Carson City, the Carson Valley Inn in Minden, and the Grand Sierra Resort in Reno. KTNV broadcast live throughout the day. The event is set up to let people remain in their cars and simply drive through designated lanes to make their donations. SNARS members accepted contributions, sorted and boxed food and toys, and provided traffic control. Seventeen members of the New York District Amateur Radio Emergency Service® (ARES) provided communication support for Operation Santa Claus, sponsored by Community Mayors Inc. The event takes place each holiday season at JFK Airport, Port Authority Hanger #19, which is transformed into an improvised North Pole. During the invitation-only event, more than 5000 special youngsters and caregivers from the Greater New York City area enjoy snacks and receive toys. Then, pandemonium ensues as Santa Claus and Mrs Claus finally arrive on a 727 towed into the hangar. Community Mayors, a 501(C)(3) nonprofit, delivers "recreational therapy" for more than 50,000 children with disabilities in the New York City area through the sponsorship of events and activities. "Op Santa" attracts one of the largest turnouts of Amateur Radio operators at a public service event. For ARES members, the annual celebration is a true test of operator skill. 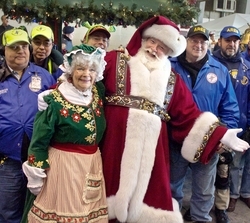 Many volunteers at Operation Santa Claus are from uniformed services, such as the New York City Fire Department, the Port Authority Police of New York and New Jersey, the NYPD, the Secret Service, FBI, TSA, and branches of Homeland Security. Each service has its own radio frequencies and modes, so ARES acts as the communication glue between volunteers and the Mayors. Before guests arrive, ARES operators are assigned to shadow someone throughout the event as they go about their duties. Net control operators coordinate ARES members' locations and traffic. Transmissions must be crisp and seamless. Tactical call signs are employed. OpSanta requires operators to think fast and on their feet, and the action is relentless. "In the midst of live stage presentations, marching bands, and excited children calling out for Santa, radio headsets are essential," said ARES volunteer David Korchin, KC2WNW. And occasionally, the unexpected arises. "This year two children became separated from their classes -- not fun in a room with 4000 people. It was brought to the attention of the event organizers via our net," Korchin said, adding that one or two youngster get separated from their groups every year. The ARRL DXCC Desk has approved the current operation of T6TM -- Afghanistan for DX Century Club credit. If a request for DXCC credit for this operation has been rejected in a prior application, contact ARRL Awards Branch Manager Bill Moore, NC1L, to be placed on the list for an update to your record. Please note the submission date and/or reference number of your application in order to expedite the search for any rejected contacts. As he has over the past several years, Brian Justin, WA1ZMS/4 -- as experimental station WG2XFQ -- will transmit voice and music on 486 kHz on Christmas Eve and Christmas Day and again on New Year's Eve and New Year's Day. Transmissions will begin at 0001 UTC and end at 2359 UTC. Justin, who may be better known for his microwave exploits on ham radio, will use an AM audio loop modulating his vintage-style, homebrew transmitter to honor Reginald Fessenden's Christmas Eve 1906 AM voice transmission. 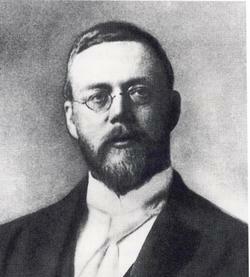 "While his original transmissions used a set of carbon microphones in the antenna lead to modulate the signal," Justin explained, "WG2XFQ will be utilizing true Heising modulation in honor of Raymond Heising, who developed this early form of amplitude modulation during World War I.
Justin constructed his 5 W master oscillator power amplifier (MOPA) transmitter using 1920s-vintage components. He said a modern 500 W FET linear amplifier allows him to meet his WG2XFQ ERP limit of 20 W. An RF engineer, Justin collects pre-1920 wireless gear and has a World War I Heising-modulated aircraft transmitter he's planning to restore. Justin was an active participant in the ARRL's WD2XSH 600 meter experimental project. Voice of Russia (VOR), the former Radio Moscow during the USSR era, will cease shortwave broadcasts as of January 1, 2014. From the 1950s through the 1980s, the station, as Radio Moscow, was a virtual beacon for short-wave listeners (SWLs), many of whom gravitated into Amateur Radio. Voice of Russia currently broadcasts to 160 countries in 38 languages for an aggregate 151 hours per day on short and medium waves, on FM, via satellite, and via the Internet. Earlier this year shortwave transmissions were cut to 26 hours a day in all languages, down from more than 50 hours a day in 2012. VOR, which claims to be the first radio station to broadcast internationally, will continue to broadcast online and via three medium-wave transmitters. In 2003 VOR was among the first major international radio broadcasters to launch daily broadcasts to Europe in Digital Radio Mondiale (DRM). As a result of a decree signed earlier this month by Russian President Vladimir Putin, the Voice of Russia radio company officially ceased to exist on December 9 and merged with several other state-run news agencies as part of Rossia Segodnya, a Russia-based international news service. Putin's decree also abolished the State Fund of Television and Radio Programs, placing it under control of All-Russia State Television and Radio Broadcasting Company. The ARRL Letter for December 12, 2013, reported an incorrect deadline to file comments on the ARRL's "Symbol Rate" Petition for Rule Making (PRM), put on public notice for comment as RM-11708. Comments are due by Monday, December 23. Tad Cook, K7RA, in Seattle, Washington, reports: Geomagnetic conditions were more stable than expected last weekend. That was good news for participants in the ARRL 10 Meter Contest. The planetary A index on Friday through Sunday was 3, 16 and 7, respectively, and the mid-latitude A index was just 3, 10 and 5 on those days. For the reporting week, Thursday through Wednesday, average daily sunspot numbers rose from 122.1 to 134.4, while average solar flux dropped slightly -- from 162.4 to 159.7 -- compared to the previous reporting period, December 5-11. The latest prediction from the USAF and NOAA has solar flux at 160 on December 19-20; 155 on December 21; 150 on December 22-23; 155, 150, and 155 on December 24-26; 160 on December 27-28; 165 on December 29-31; 170 on January 1-2; 175 on January 3-6; 170 on January 7, and 165 on January 8-10. Solar flux is expected to decline to a low of 135 on January 18-19, then rise to 175 at the end of January. Predicted planetary A index is 5 on December 19-25; 12, 10, and 8 on December 26-28; 5 on December 29 through January 2; 10 and 20 on January 3-4; 5 on January 5-9; 15 and 7 on January 10-11, then 5 after that, until a more active period toward the end of January. This Friday's bulletin will have an updated forecast and reports from readers.